Seattle condos, lofts, townhomes and condominiums and co-ops for sale. Seattle modern and vintage condominiums, cooperative apartments, lofts and townhouses for sale in Seattle. Seattle Condo living is a carefree lifestyle all will enjoy. Find condo information online. Start your Seattle Condominium Search now! You can click this link to search Seattle Condominiums in the popular price range between $300K-$600K or contact me for more specific search in a different area or price range. You can also search all Seattle Condo Open houses! I love the new Parasima collection at Anthropologie. 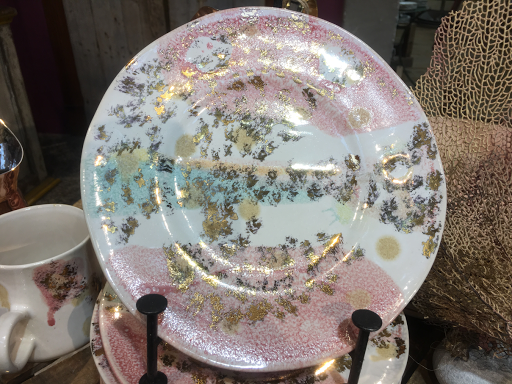 It has a reactive glaze which lens the stoneware and organic, one of a kind finish, while genuine gold trim has a touch of elegance. One can never really go wrong with the table where at the store, they've got incredible buyers great taste. Are you searching for the perfect condominium in Seattle? Interested in Sunday Open Houses? Search all Seattle area condominium Open House's for next weekend HERE. Looking for a Condo in Seattle? Search for your Dream Condo! Click here to view all the Seattle condominiums that will have an open house! Not finding what you want? That's ok, just email or give me a call and I can tailor your search for exactly what you're looking for! Looking for a condominium in Seattle? Whether you are looking for a downtown high-rise or a smaller building on Capitol Hill, Queen Anne, Madison Park, Fremont, Ballard or other Seattle neighborhoods, I can assist you in your search.